Conversational Euro-Comics: Bart Beaty On The Recent, Slyly Revealing Diary Comics Of David B. My tour through some of the recent work of the L'Association co-founders last week put me on a Lewis Trondheim kick. That led, naturally enough, to plucking some David B. off my shelf. Now the president of L'Association, David B. was the first of the co-founders, after Mokeït, to leave the organization. He did that in 2005, and, as it just so happens, his 2010 book Journal d'Italie: Trieste Bologne (Delcourt) touches on that particular period in his life. 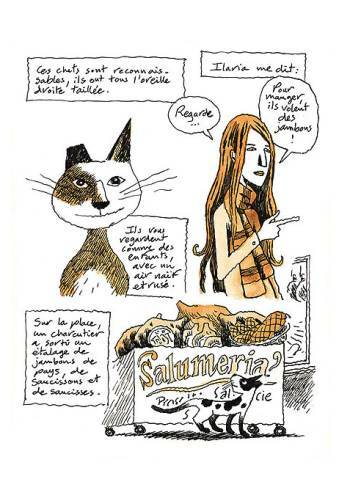 Published in the Shampooing collection that Trondheim edits for Delcourt, Journal d'Italie is the first volume of diary comics by David B. (though no other volumes have been published to date). It is a slightly odd book, and here's why: While I was reading it I made a note that reads, "It is impossible to believe the autobiographical comics of David B." I paused for a moment, and was immediately struck by the fact the artist's entire reputation as one of the most important cartoonists of the past 20 years stems from the fact that his autobiographical comics are so very believable. A conundrum. Here's what I was thinking. In a story here titled "Le 22 janvier 2005," David and his wife, Ilaria, eat in a restaurant in Venice. At the table beside them sits a small, odd-looking German man living in Ireland who engages them in a discussion of dreams. Given that David B. is perhaps the most important practitioner of dream comics in the history of the form not named Winsor McCay, this meeting seemed somewhat fantastic. 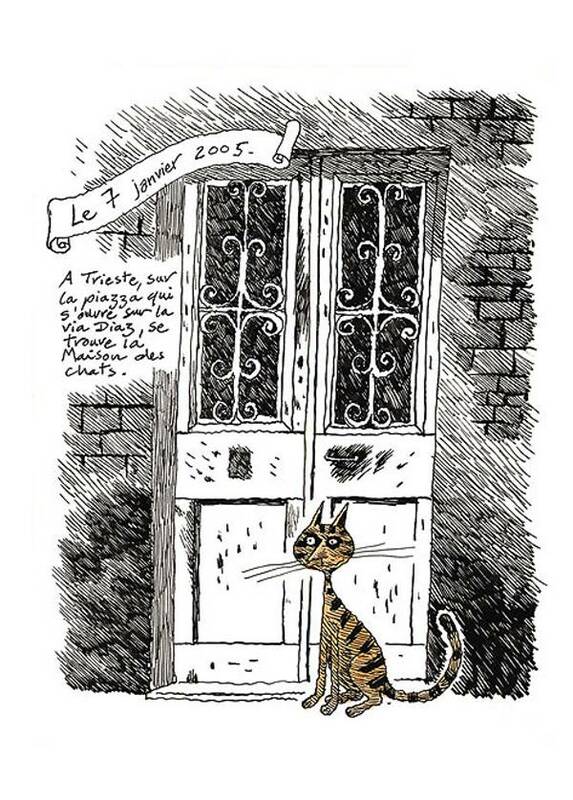 And given that other stories in the book feature David shrinking in size to visit the library of a rat, or just straight up relate his dreams as in his breakthrough book, Le Cheval Blême (L'Association, 1992), why should we believe that there is any "truth" to a story like this? Simply because he presents it as such? The larger question is why would we believe any autobiographical cartoonist at all? The success of L'Ascension du Haut-Mal (Epileptic) stems not from our belief in the author, but in our recognition of his masterful deployment of the elements that make up the comics form, from page layout to iconography, and from his ability to structure them within a narrative that is compelling and deeply felt. Journal d'Italie, while superbly crafted (the shift into color during the Lucky Luciano story are some of the most visually striking pages he has ever produced), is lacking some of that personal urgency, and, consequently, comes across as a minor work. With one exception. The strongest piece in the book takes place on January 25, 2005, two days before that year's Angouleme festival (which he did not attend). Spying a rat, David follows it into a wall, where he learns all about the literature produced by rodents. It turns out that it is surprisingly complex. Later, walking with Ilaria, he tells her that he feels included in the literature of the rat, and that he has always felt that comics festivals are the catalysts for mediocrity, and that he moves through them as if he were in a fog. The discussion continues with David questioning the credo of Jean-Christophe Menu, and reflecting on the merits of the avant garde in a culture in which literacy is declining. It is a brief, non-didactic piece, one that provides a great deal of insight into the man and into the decision that he would make shortly thereafter to leave the publisher he helped to launch. It's in lightly guarded moments like this that the author seems most believable. 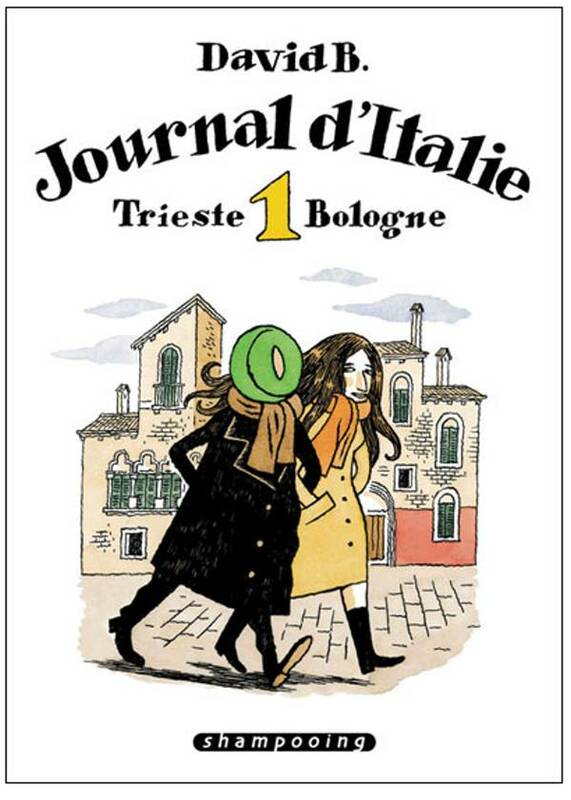 * Journal d'Italie Vol. 1, David B, Shampooing/Delcourt, 978275600931-5, 150 pages, January 2010.